At Coastal Veterinary Dermatology & Ear Clinic we have been striving to bring high quality medical care to the Houston area for over three years now. We hope to meet the needs for not only Houston, but the surrounding areas as well. Allergies and skin conditions can also affect horses, cows, and other farm animals. Dogs and cats suffer from many of the same allergies, skin, and ear conditions that people do. 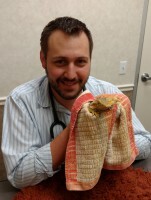 We also specialize in the care of exotic animals with skin and allergy issues. Why does my pet need to visit Coastal Veterinary Dermatology & Ear Clinic? 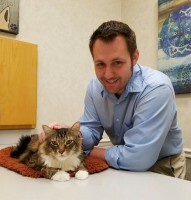 Dr. Rossi has been board certified by the American College of Veterinary Dermatology (ACVD), an organization that ensures that its members maintain the highest level of post-graduate training in veterinary dermatology and allergy. He has expertise in the diagnosis and treatment of all skin, coat, ear and nail diseases in animals, including bacterial, viral, fungal and parasitic infections, allergies, immune-mediated skin diseases, endocrine (hormonal) disorders, inherited skin diseases, and certain skin cancers. 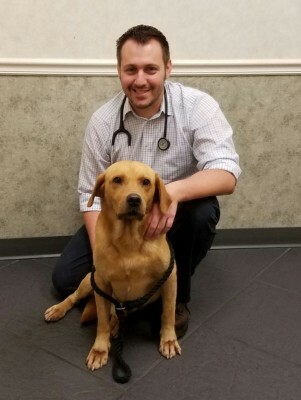 Dr. Rossi is devoted to working closely with you and your family veterinarian to provide the most progressive and comprehensive services and care for your special family members. 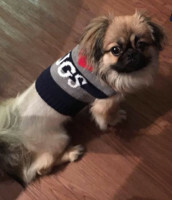 "Dr. Rossi and his staff are a TRUE blessing for Georgie! Georgie has suffered for allergies for approximately 2 years. Well approximately 2 months later, Georgie's hair has almost completely grown in and he is no longer having any problems. We are clients for life!!!!" "Dr. Rossi gets more than 5 stars in my book! I took my baby Swagger to him after a long journey of misdiagnosis. Dr. Rossi finally gave us answers and we can not thank him enough. 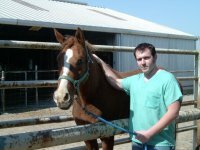 He truly cares about the animals and his staff goes above and beyond to treat each and every client with great care." "I cannot say enough good things about Dr. Rossi for the care he's provided for my dog. 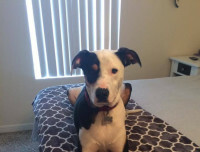 They truly care about the well being of our dog, and I'm very happy to have found them." 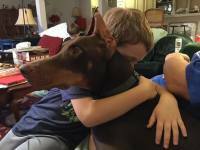 "After an unsatisfactory experience with another dermatologist, I took my Doberman to Dr. Rossi. Huge difference because Dr. Rossi listens to you and answers your questions. I never felt rushed through the visit. I live far away, but the long trip is worth it." "We are new patients, but we love Dr. Rossi and the whole staff already! They truly care about my fur baby, Luke, and we're hoping to finally see some results! They're wonderful!" "My Rhodesian has been suffering with skin issues pretty much since he was 4 months old. Bringing him here to Coastal was probably the best decision I've made. They are really educated and know what they are doing. They are also very friendly and care so much in trying to solve your pet's skin allergies/issues. Thank y'all for taking care of my Oliver." 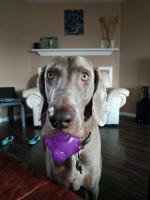 "Took my pup, Loki, today for a rash that keeps coming back and the staff at Coasytal were absolutely amazing! Everyone that I dealt with were super friendly and incredibly healpful. I am so happy with my experience and will 100% be going back for any issue with my babies!!" "Dr. Rossi and staff are AMAZING! Our Lollie had been in a cone for 7 months due a nasty infection that no one could seem to cure. We were referred to Dr. Rossi and within 6 weeks she was out of the cone and is doing great! The staff is so caring and we love Dr. Rossi. He's the best in the country!" 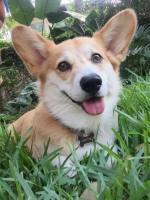 "Our Corgi, Oxford, was dealing with allergy issues that made him chew his paws really bad, as well as caused him to get ear infections. Dr. Rossi performed a skin allergy test to determine what he was allergic to. He put him on immunotherapy shots 6 months ago and we are very happy with his progress! Dr. Rossi is very caring. Makes your pet feel at ease at all times!"